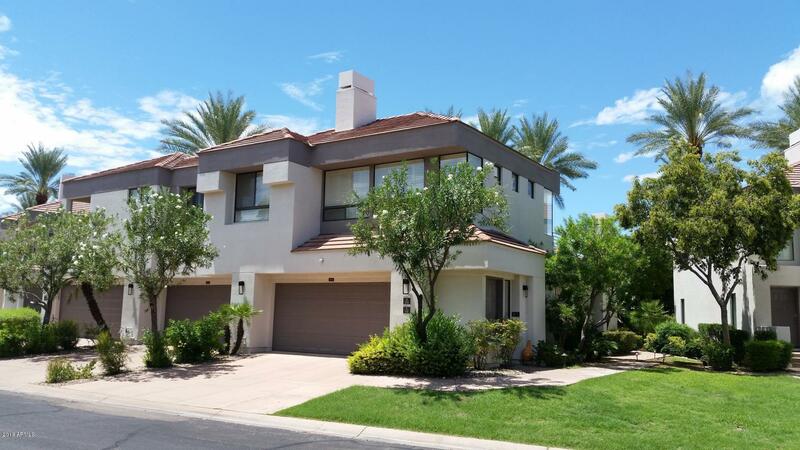 All OASIS AT GAINEY RANCH CON homes currently listed for sale in Scottsdale as of 04/23/2019 are shown below. You can change the search criteria at any time by pressing the 'Change Search' button below. "Exquisite townhome in world famed Gainey Ranch. All living on one level after ascending stairs from door. Gorgeous finishes, newly painted, great balcony/deck. Separate den/office area. Plantation shutters/ granite counter tops and highly upgraded baths. Lovely unit gets tons of sun to delight winter visitors. Walk to pool, golf course/club house, restaurants, shopping and public transportation."